When are all the Mother’s Day celebrations around the world? 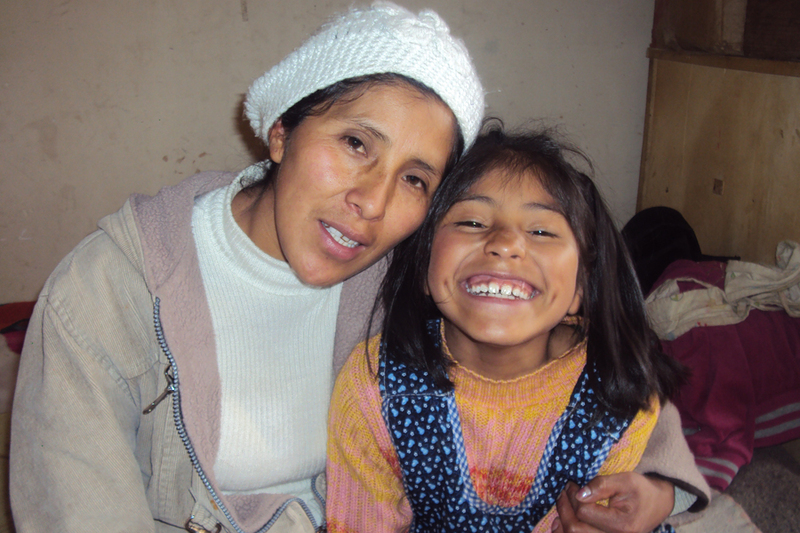 Maria Luisa with her daughter Gabriela, a sponsored child in Bolivia. Happy Mother’s Day! Well, depending on where you are that is. Find out the different days Mother’s Day is celebrated around the world. Happy Mother’s Day, or should we say month? Mother’s Day is celebrated all around the world throughout the month of May, and even extending into June and August in some countries. Take a look at our tribute to the mothers who are part of the Hope for a Family program. May 10: Happy Mother’s Day, El Salvador, Guatemala and Mexico! Jose, a CFCA sponsored child, and his mother Anselma in El Salvador. Mercedes and Cristel! Mercedes is the wife of Luis Cocon, our CFCA communications liaison in Guatemala. Floridalma, mother of a sponsored child, making cheese from her cows in Guatemala! A mother and her daughter in Merida, Mexico, on their way to the CFCA office. May 12: Happy Mother’s Day, Colombia, India, Philippines and the United States! A mother’s group meeting in Colombia. The group raffles off groceries each month! United States — CFCA blogger Shanxi Omoniyi and her mother, Mei Upsdell – soon to be a grandmother! United States — CFCA blogger Veronica Batton and her mother, Donna Hatchette, on a family vacation, summer 2008. Happy Mother’s Day, Donna! Hilda, mother of a CFCA sponsored child, playing with her daughter, Ryza, in the rain in the Philippines. Mothers of sponsored children gather at a CFCA office in India for a monthly group meeting. May 27: Happy Mother’s Day, Bolivia! June 30: Happy Mother’s Day, Kenya! 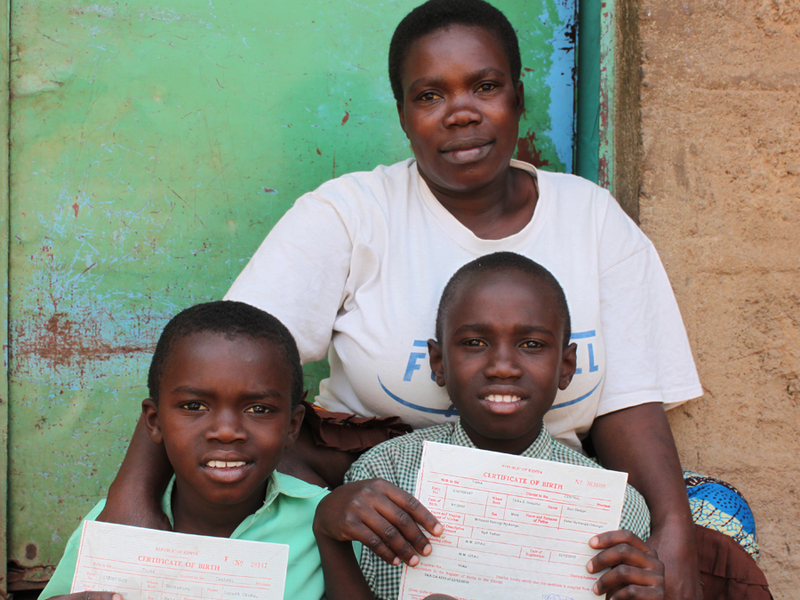 In Kenya, Millicent worked hard to acquire birth certificates for her children Robert, left, and Ben, right, both sponsored through CFCA. Happy Mother’s Day to all the mothers around the world!